Welcome Rosies to the December Festive Elegance Blog Hop. This month's hop will Run from today, December 15th- Friday, December 21st at 12pm. And to make it more fun there is a chance for you to win a $15 WRC Gift Card just for hoping along with us and leaving a comment at each stop along the way! The Hop will run all week until Friday December 21st at 12pm EST. Once the hop has closed, we will randomly pick a winner, who will be announced on the evening of the 21st right here on the WRC blog! 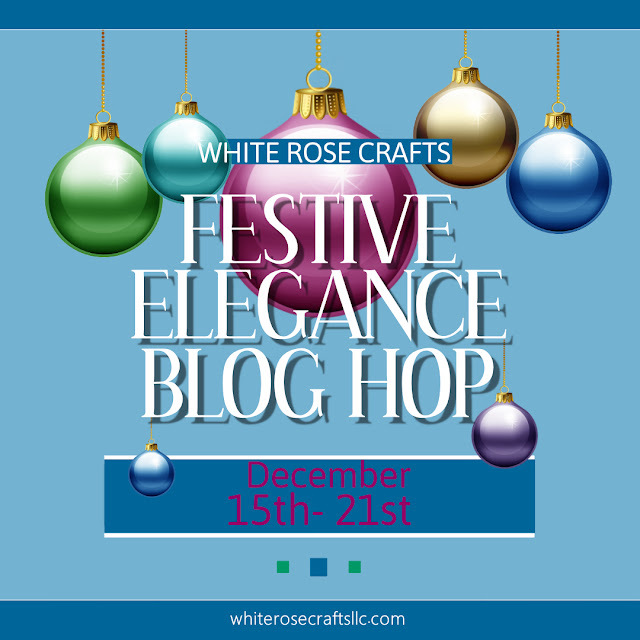 And as an added bonus, do you want your work to be featured on our blog when we announce our hop winner. 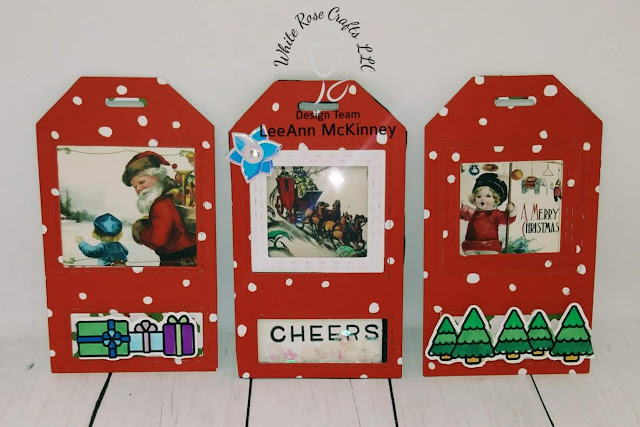 Share your White Rose Crafts projects over on our Facebook Gallery, and you might just be a featured project on the WRC Blog! 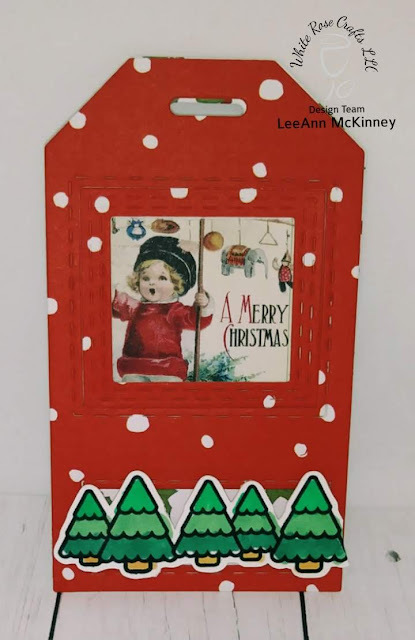 For my project I used Authentique's Christmastime 6"x6" paper pack along with a tag die set from my stash. The added elements of trees and gifts are from Lawn Fawn's Simply Winter. 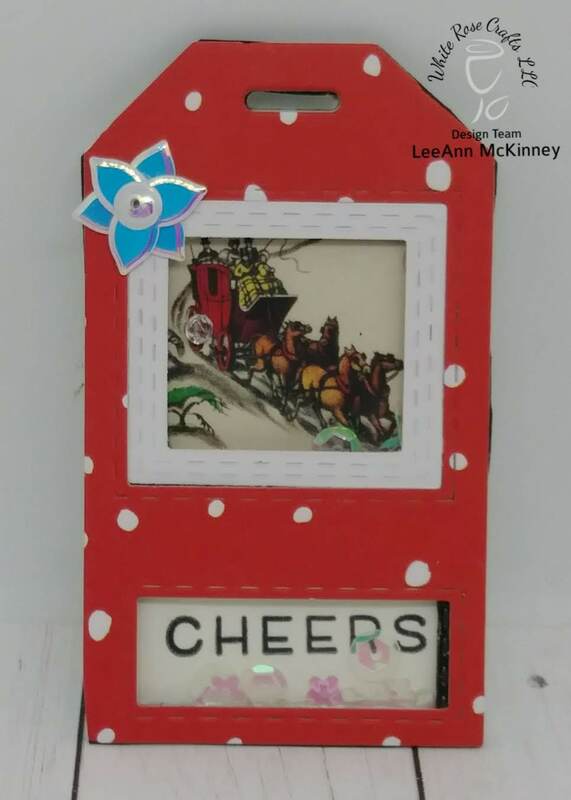 Cheers is from the Simply Winter add on sentiment set. 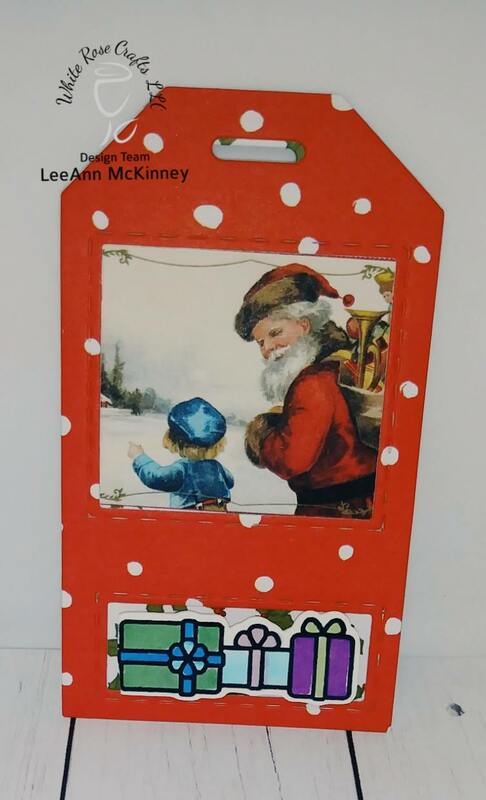 The final tag is a shaker in which I used Doodles Paper Playground Fairy Dust! Have you seen our December Festive Elegance Subscription Kit? There are only a few left in stock, so don't miss out on a chance to own your own bit of Festive Winter Elegance. But did you know that with each of our kits, there is always an Kit Add-On section of the Store that compliments your Monthly Subscription Kit? And did you know you can get anything in that Kit Add-On section for 10% off!!! These tags turned out just too cute! So perfect for the holidays. These tags are just perfect! I love the colors and little peak windows! Wonderful tags, they are so fun! What sweet tags. I love the vintage images - very fun paired with the polka dots! I love Authentique and your sweet tags! Fabulous tags. I like the vintage images. Sweet set of tags! I love the red and white paper and the cute stamps!